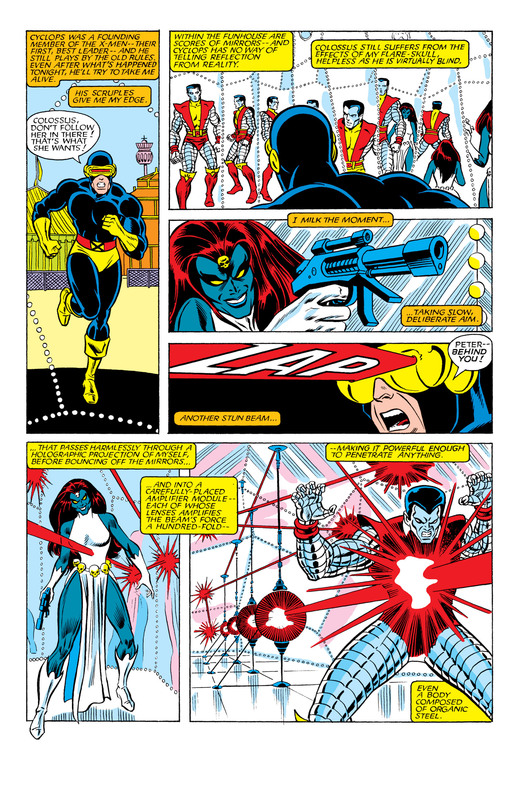 This entry was posted in banshee, colossus, Cyclops, Danny Rand, jean grey, Marvel Comics, nightcrawler, storm, Uncanny X-Men, Versus, Wolverine and tagged iron fist, marvel, Moira MacTaggart, uncanny x-men, VS on October 2, 2016 by lowbrowcomics. 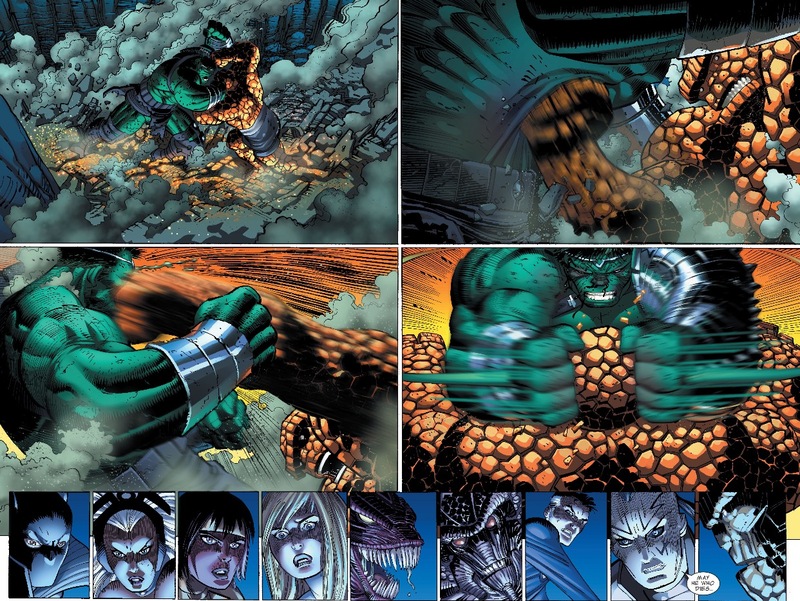 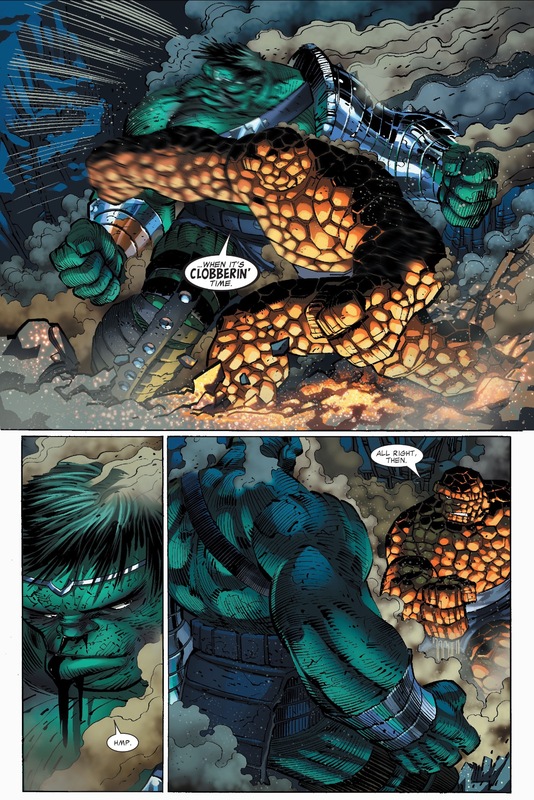 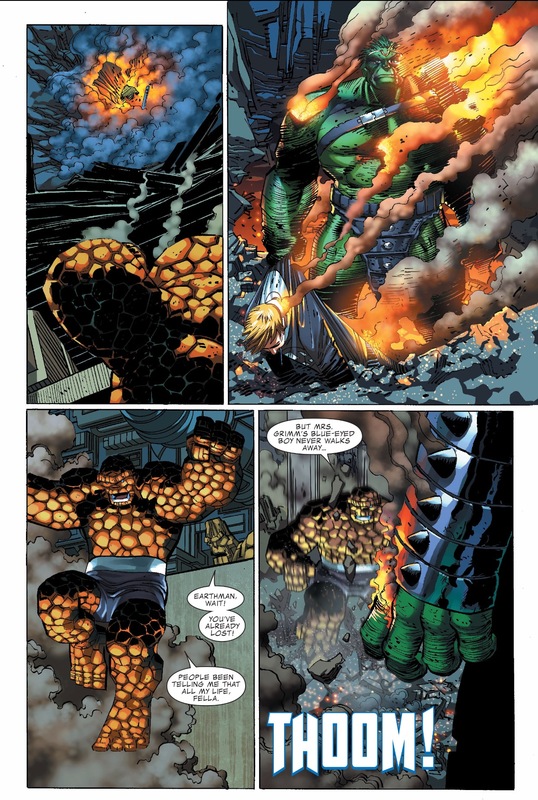 This entry was posted in Black Panther, Fantastic Four, Hulk, Human Torch, Invisible Woman, Marvel Comics, Reed Richards, storm, the thing, Versus, world war hulk and tagged comics, Elloe Kaifi, Hiroim, hulk, johnny storm, Korg, marvel, miek, mr. fantastic, No-Name the Brood, storm, warbound, world war hulk on May 14, 2016 by lowbrowcomics. 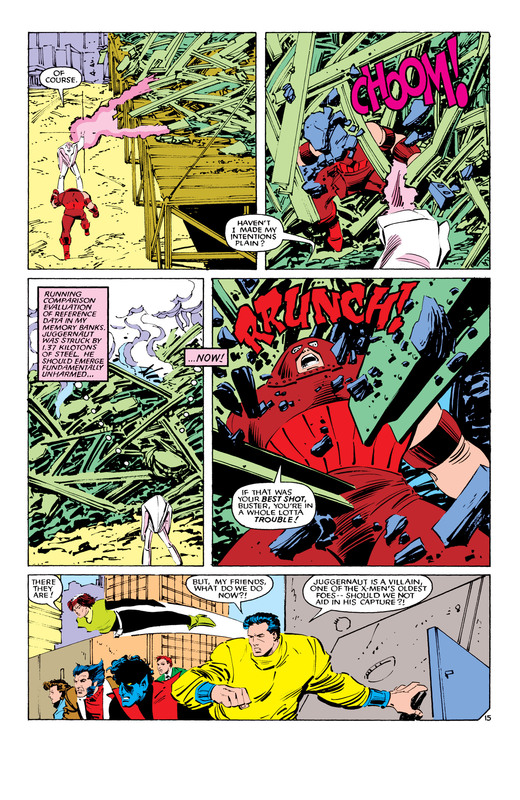 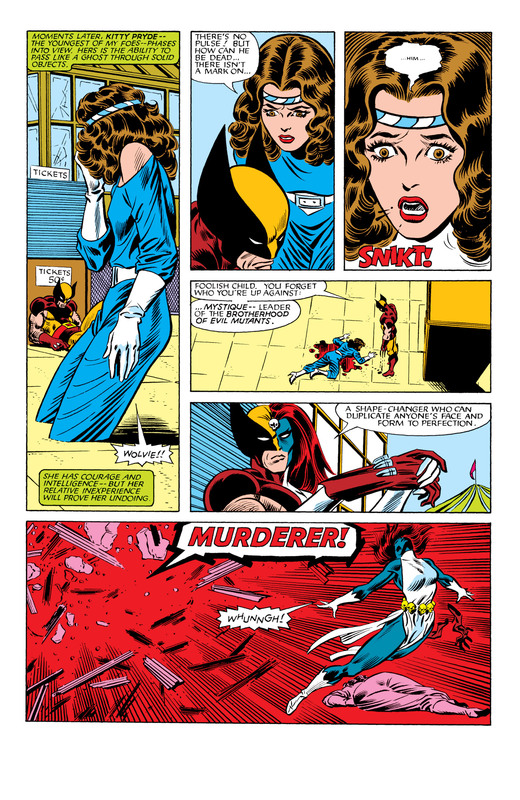 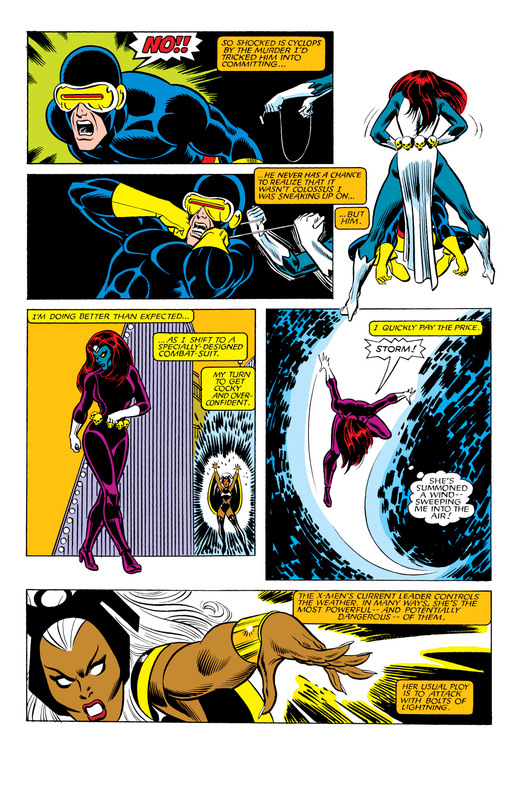 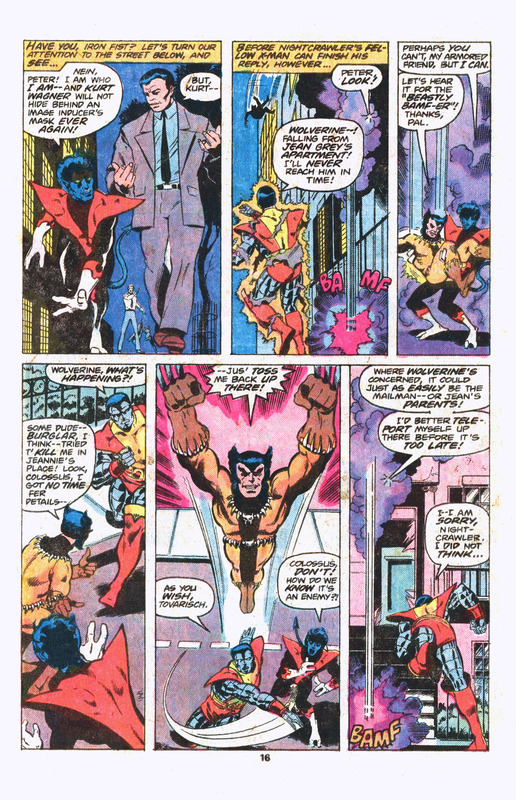 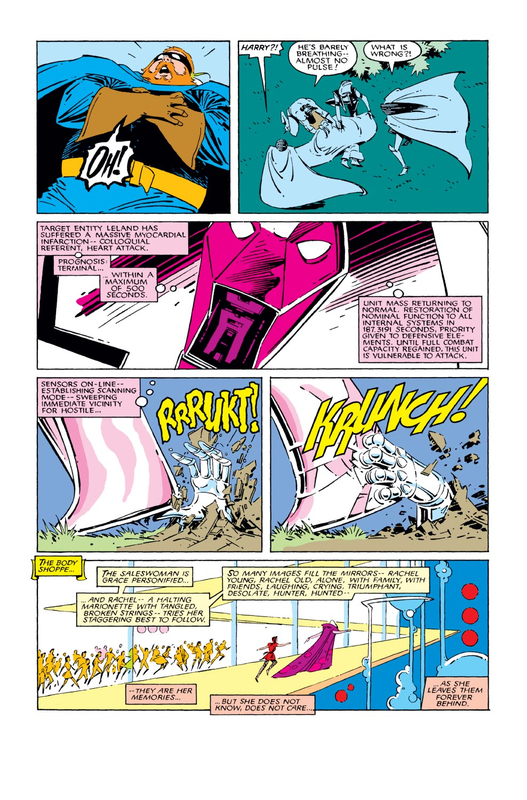 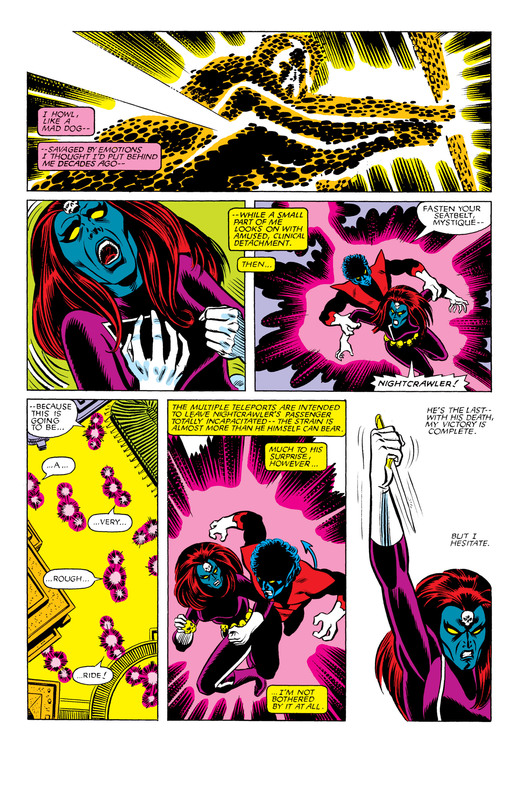 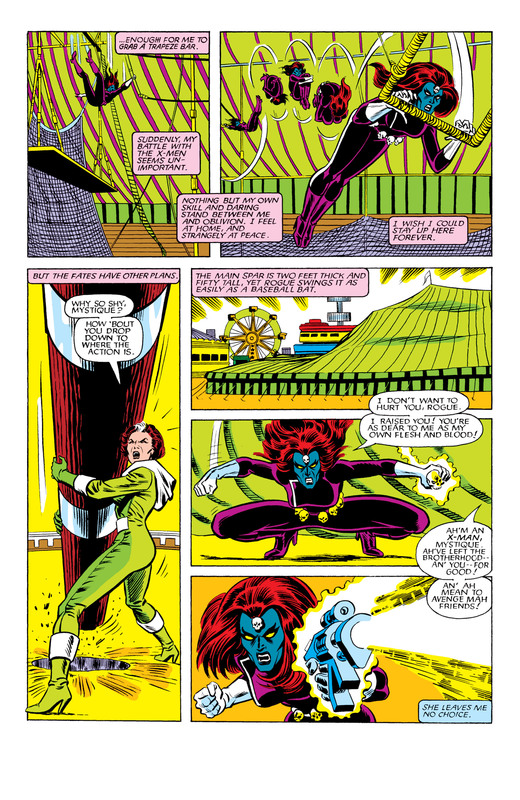 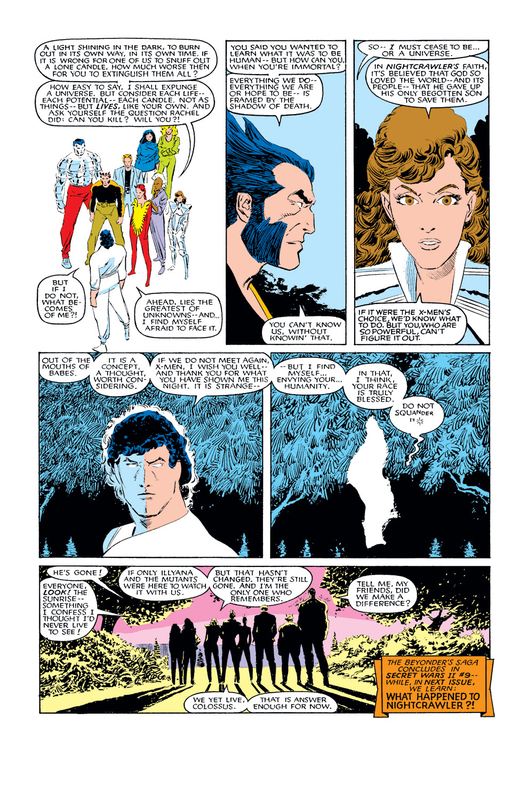 This entry was posted in colossus, Kitty Pryde, Marvel Comics, nightcrawler, nimrod, rachel summers, storm, Uncanny X-Men, Versus, Wolverine and tagged comic books, Marvel Comics, nimrod, x-men on April 10, 2016 by lowbrowcomics. 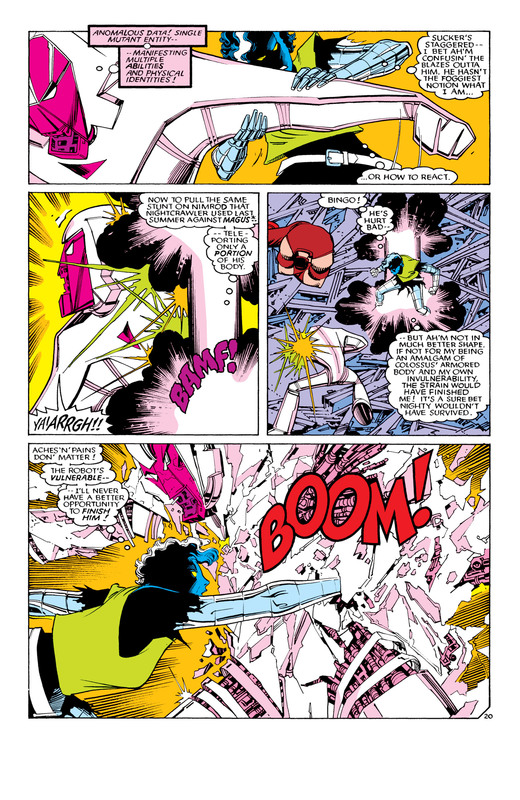 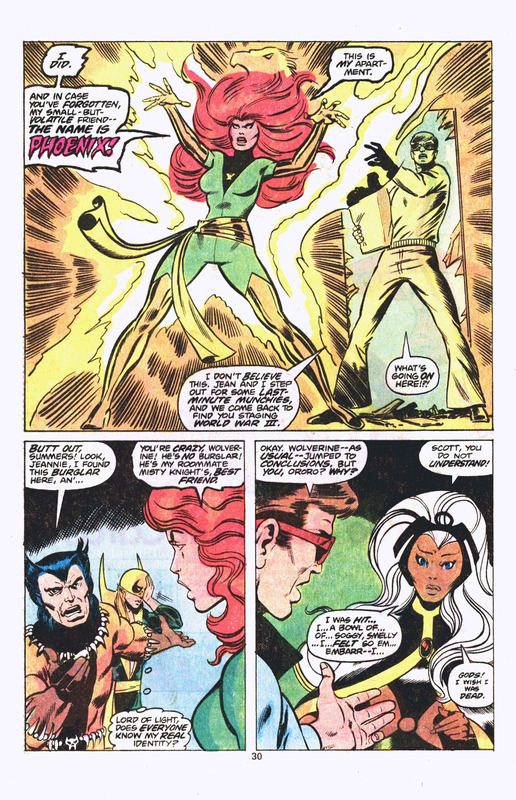 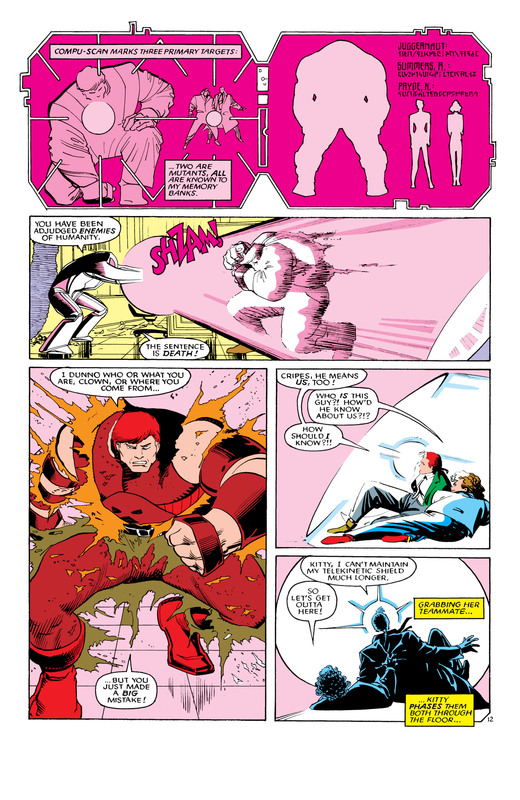 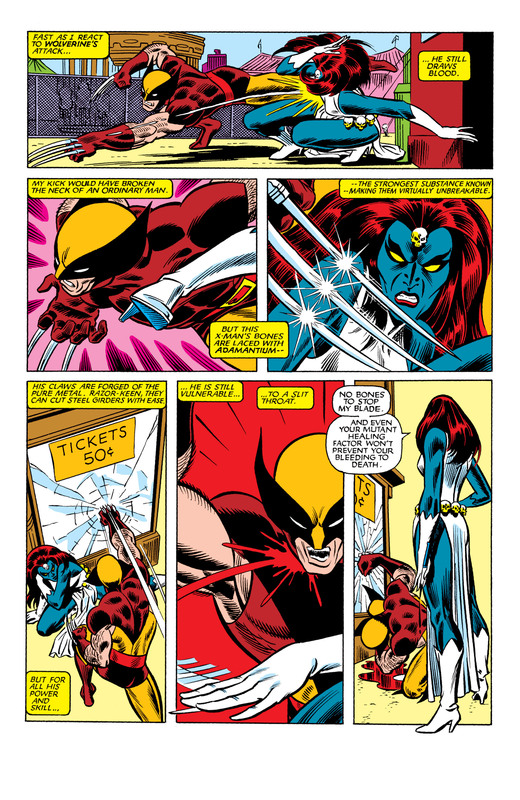 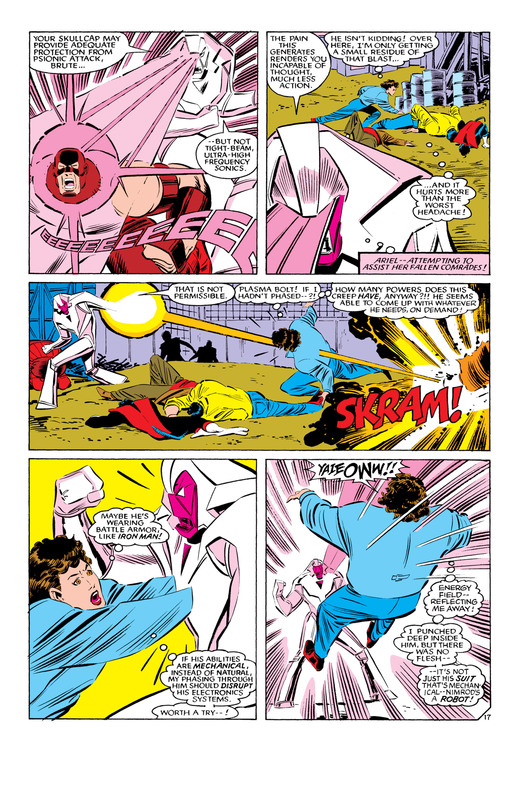 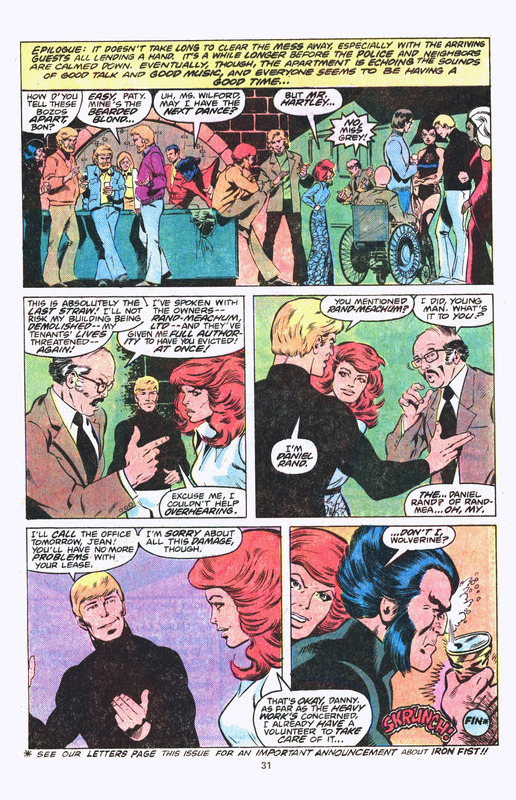 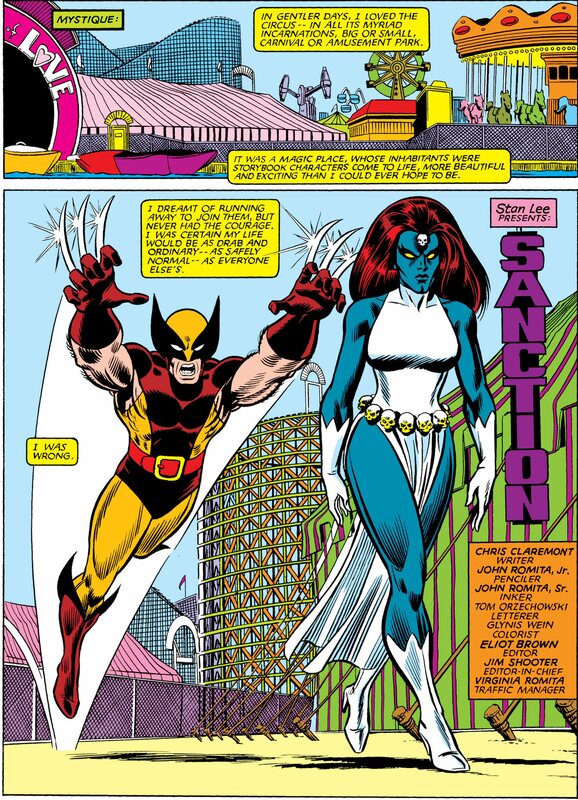 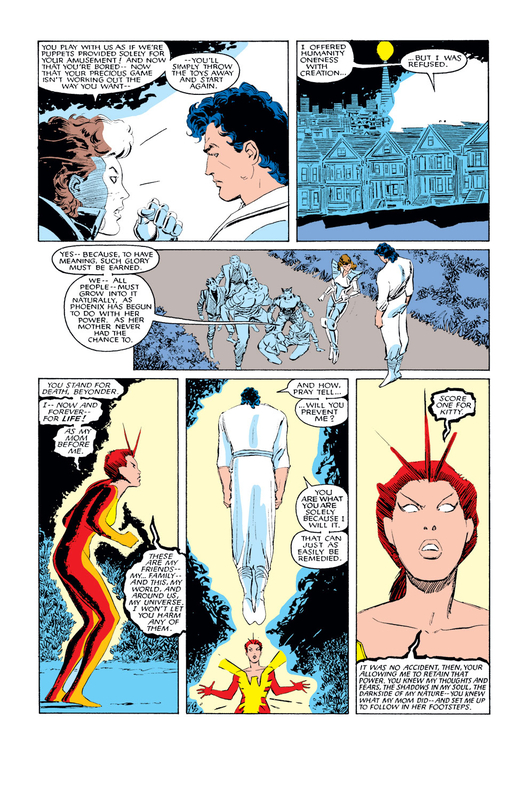 This entry was posted in colossus, jean grey, Kitty Pryde, Marvel Comics, psylocke, rachel summers, storm, Uncanny X-Men, Versus, Wolverine, X-Men and tagged Beyonder, comic books, Marvel Comics, phoenix, rachel summers, x-men on April 10, 2016 by lowbrowcomics. 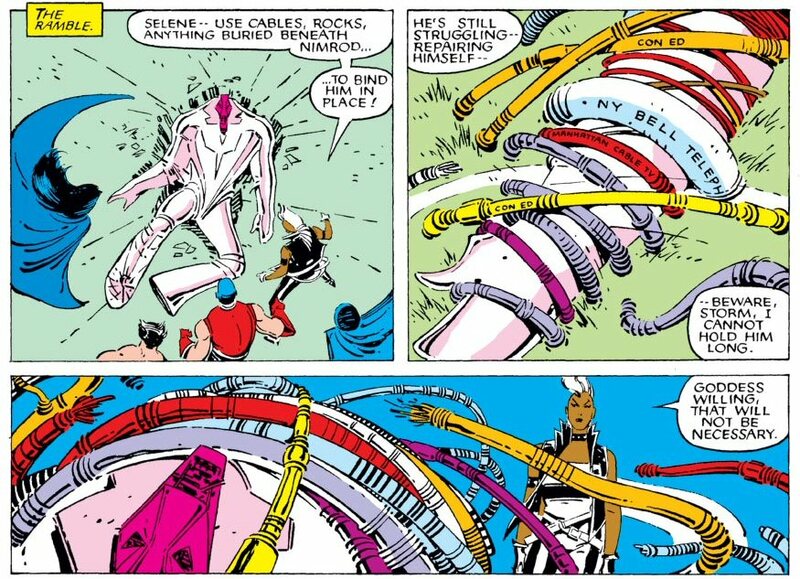 Nimrod is the most advanced form of Sentinel robot. 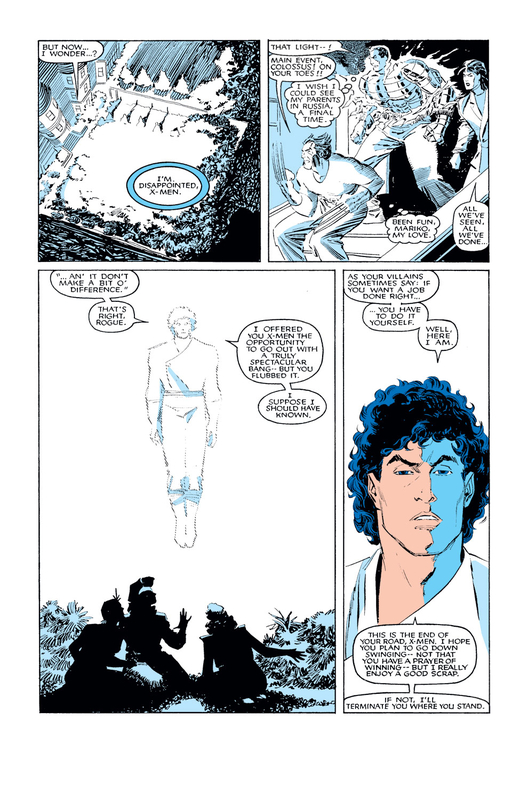 Nimrod can convert his outward appearance to resemble that of an ordinary human being. 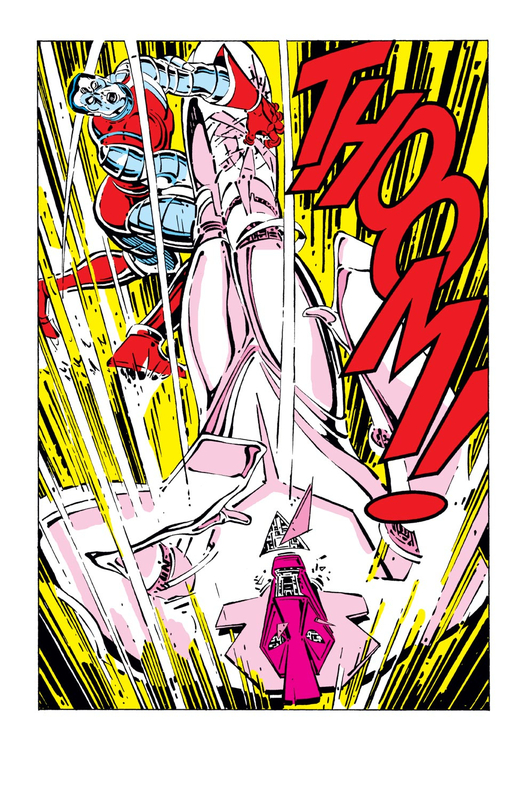 Nimrod can also reconstruct himself so as to make improvements in his robotic form and internal systems that will make him a more formidable opponent. 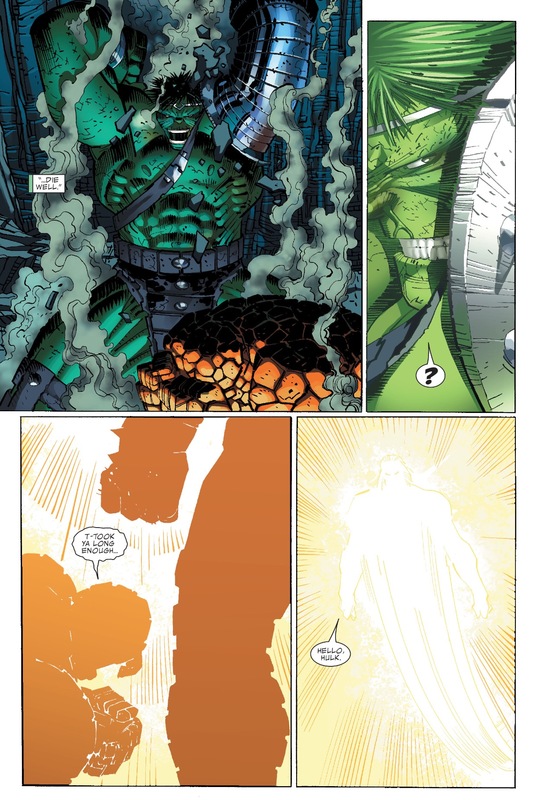 Even when smashed to pieces, Nimrod can reintegrate the portions of his body to become whole again. 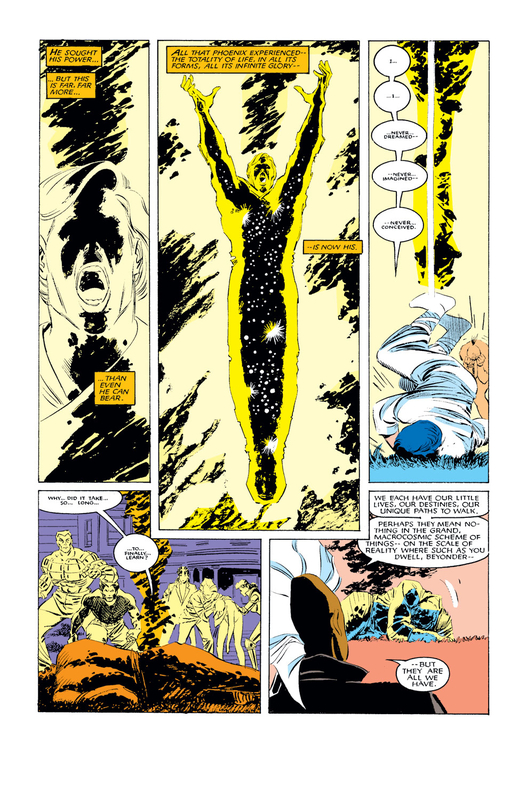 Apparently Nimrod’s electronic consciousness can somehow exist independently of his physical body, at least temporarily. 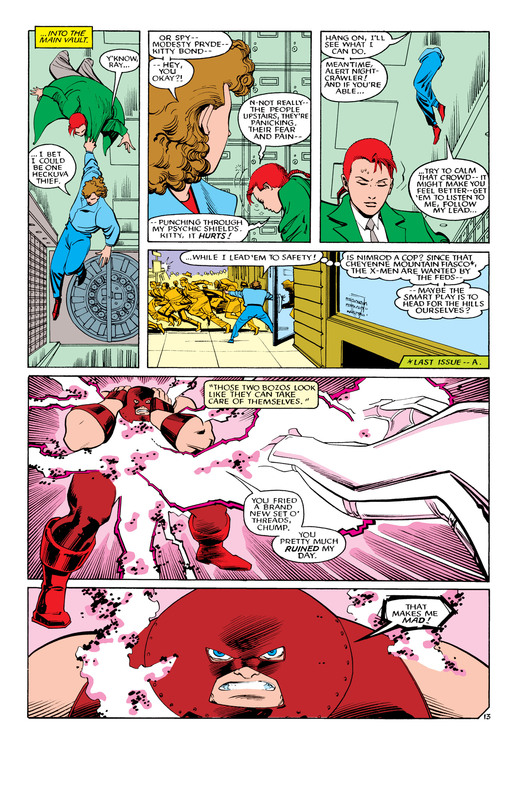 Physically Nimrod is categorized in the “Official Handbook of the Marvel Universe” as possessing “Class 100” strength because Nimrod could engage the Juggernaut in hand-to-hand combat. 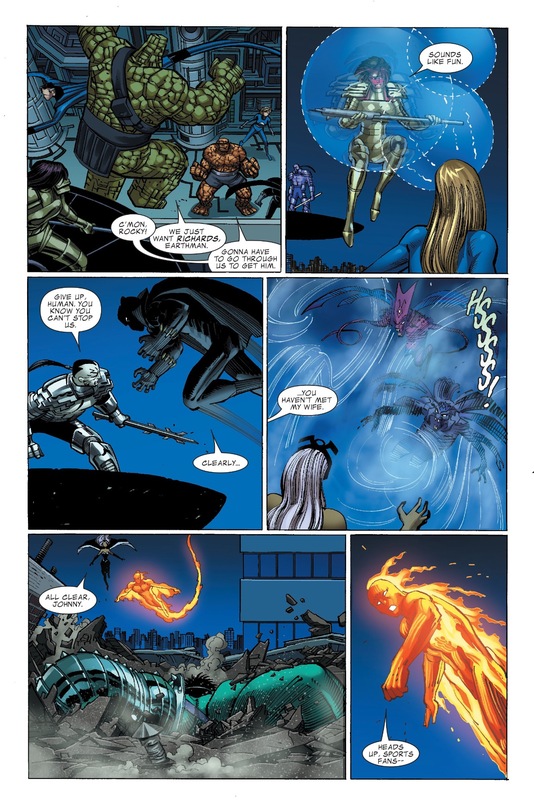 Nimrod contains highly advanced computer systems as well as scanning devices that make it possible for him to determine whether a human being is a superhuman or not; if they are, he can determine the nature of their superhuman abilities. 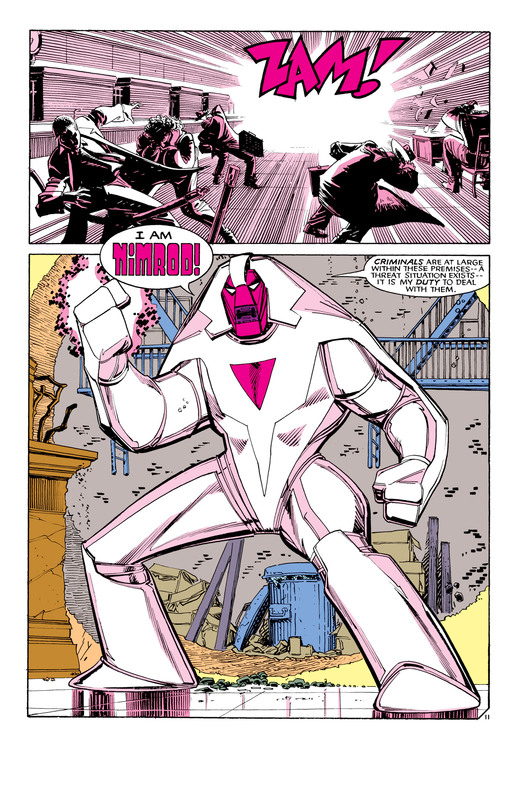 Like present day Sentinels, Nimrod can draw upon devices and systems within his robotic body in order to cope with or neutralize an opponent’s superhuman power once he has determined the nature of that power. 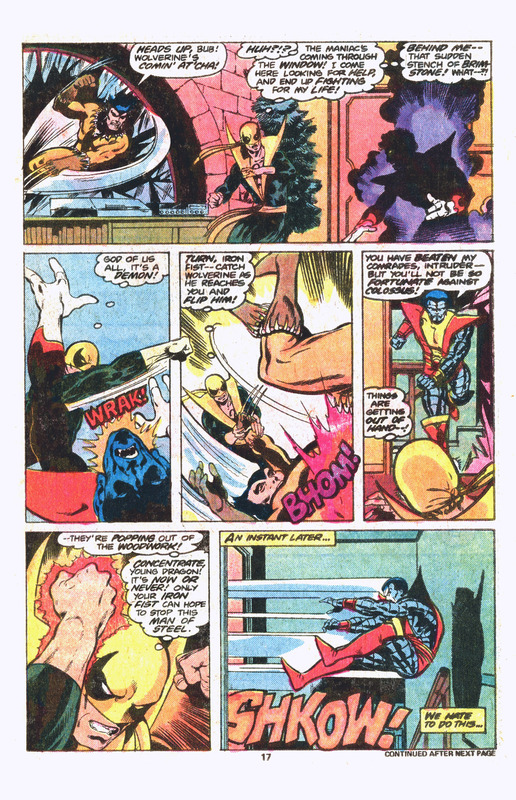 Nimrod is capable of projecting energy blasts, magnetic energy to levitate material, create force fields, and can teleport. 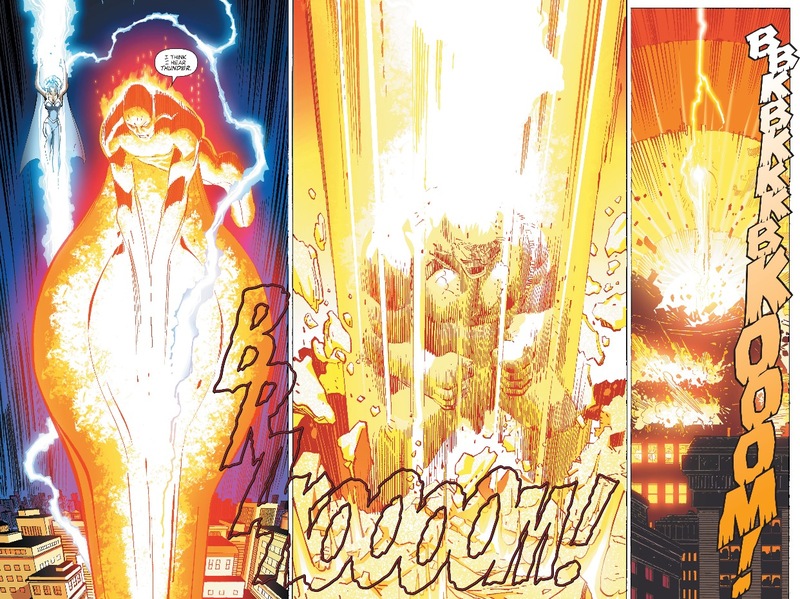 Nimrod has a weakness for elemental attacks such as lightning or extreme cold. 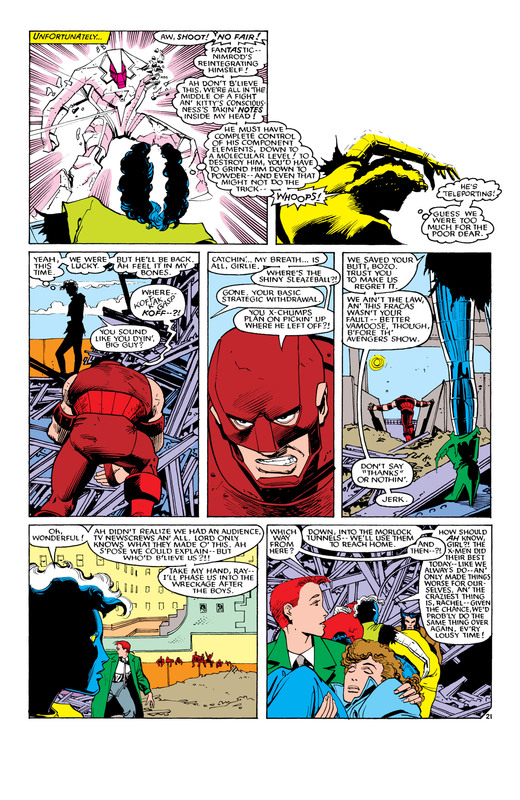 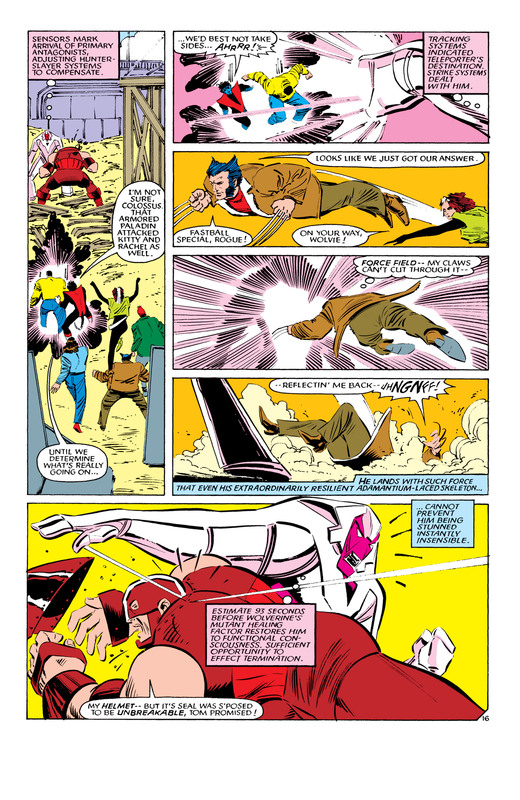 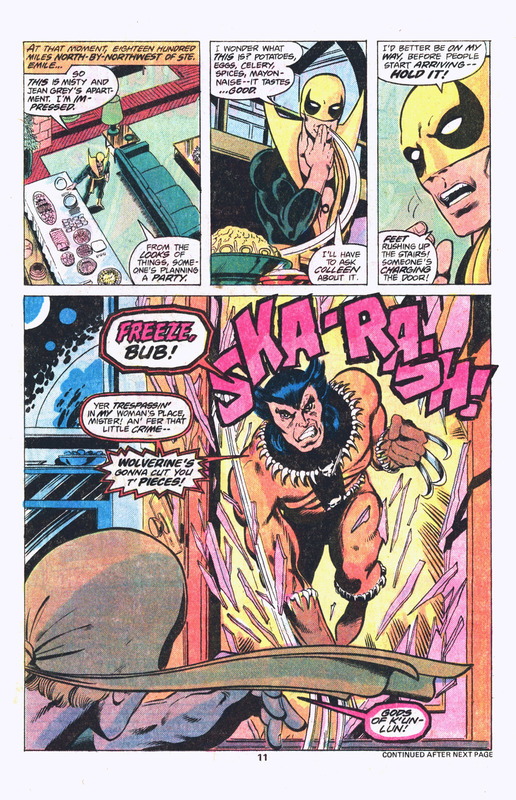 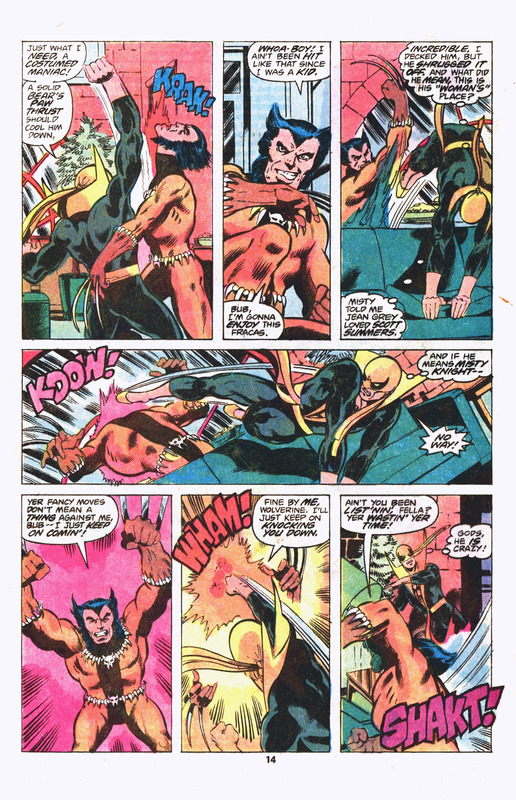 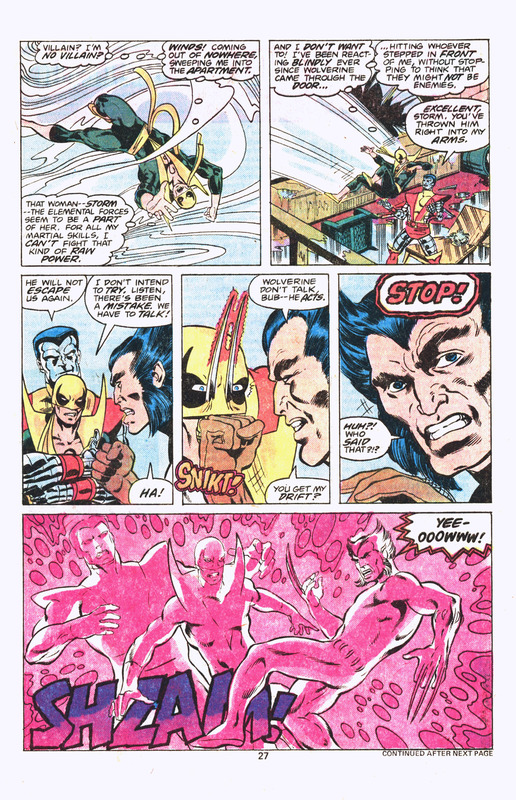 This entry was posted in colossus, Juggernaut, Kitty Pryde, Marvel Comics, nightcrawler, nimrod, Rouge, storm, Uncanny X-Men, Versus, Wolverine, X-Men and tagged comics, juggernaut, Marvel Comics, nimrod, wolverine, x-men on April 10, 2016 by lowbrowcomics. 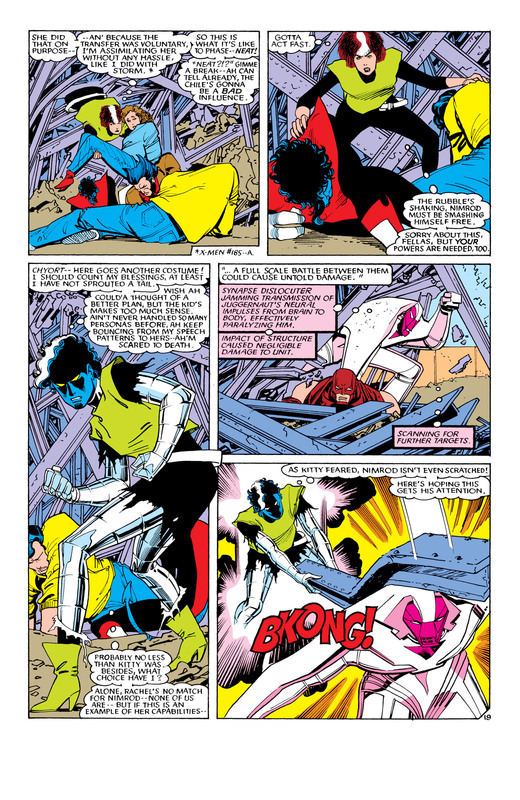 This entry was posted in Archangel, colossus, Cyclops, jean grey, Kitty Pryde, magneto, Marvel Comics, nightcrawler, psylocke, storm, Uncanny X-Men, Versus, Wolverine and tagged comics, Marvel Comics, Mystique, nightcrawler, uncanny x-men, x-men on April 10, 2016 by lowbrowcomics. 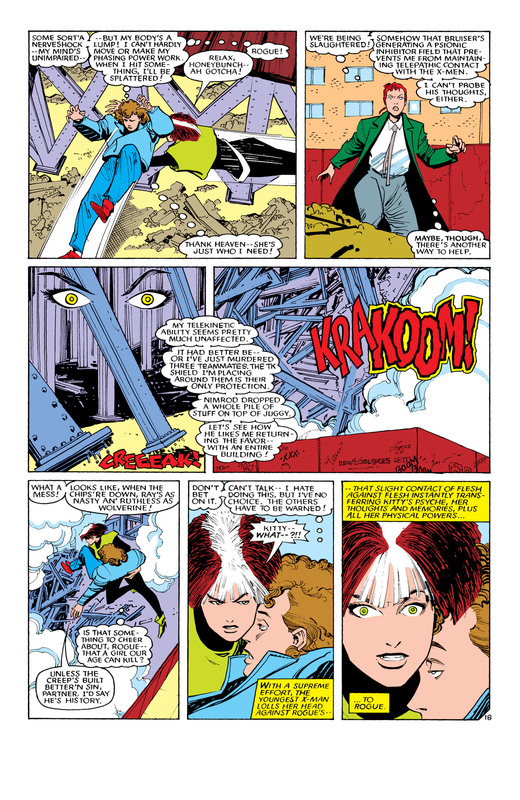 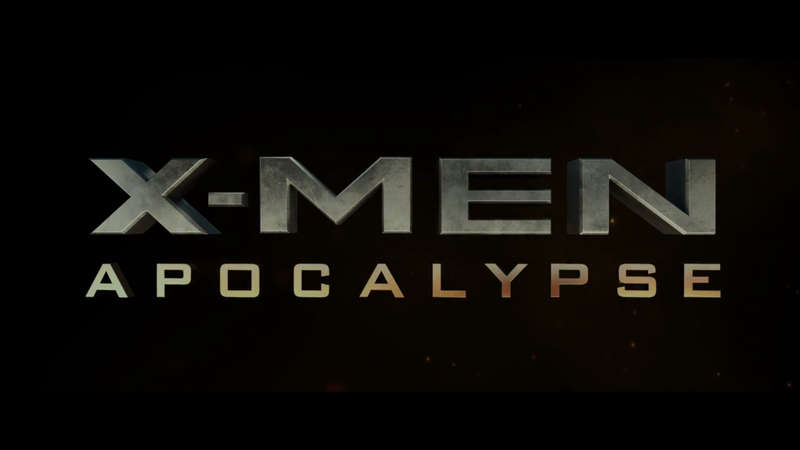 This entry was posted in apocalypse, Archangel, colossus, jean grey, jubilee, Magneto, magneto, marvel, Marvel Comics, movies, nightcrawler, psylocke, rachel summers, storm, Uncanny X-Men, X-Men and tagged angel, archangel, beast, cyclops, dark phoenix, fox, James McAvoy, jean grey, Jennifer Lawrence, jubilee, Lucas Till., magneto, marvel, Marvel Comics, Michael Fassbender, movies, Mystique, Nicholas Hoult, nightcrawler, olivia munn, Oscar Isaac, phoenix, Professor X, psylocke, Rose Byrne, Scott summers, Sophie Turner, storm, Tye Sheridan, uncanny x-men, William Stryker, wolverine, x-men on March 17, 2016 by lowbrowcomics. 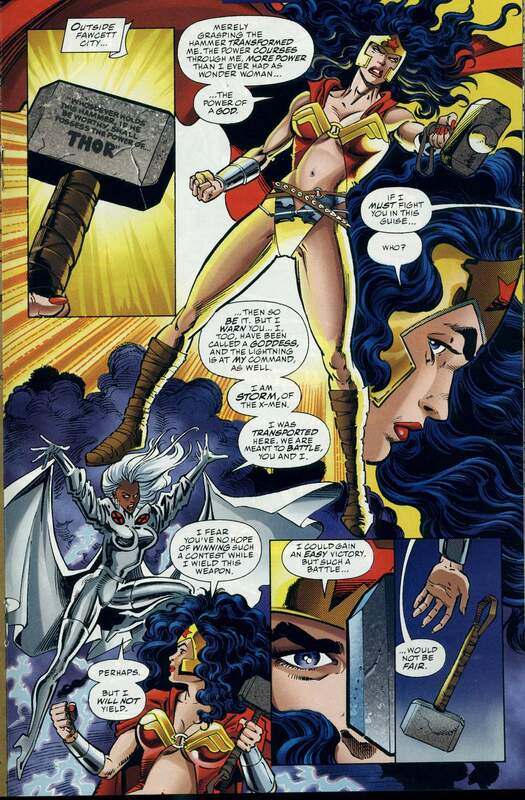 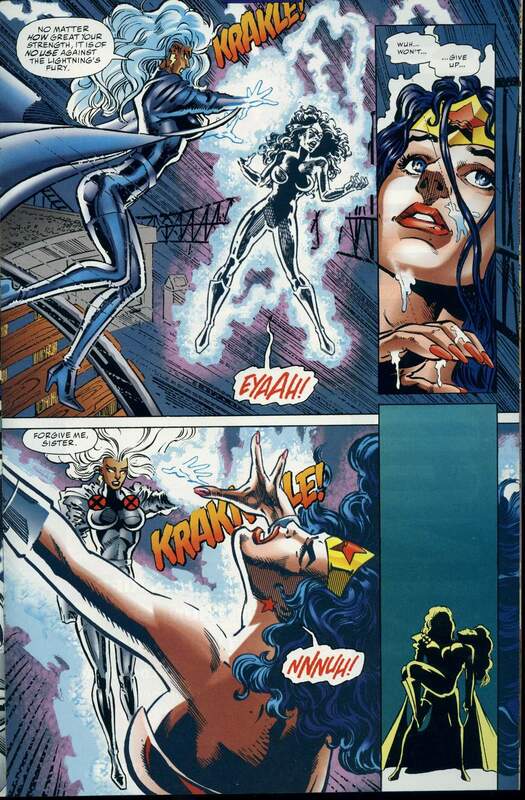 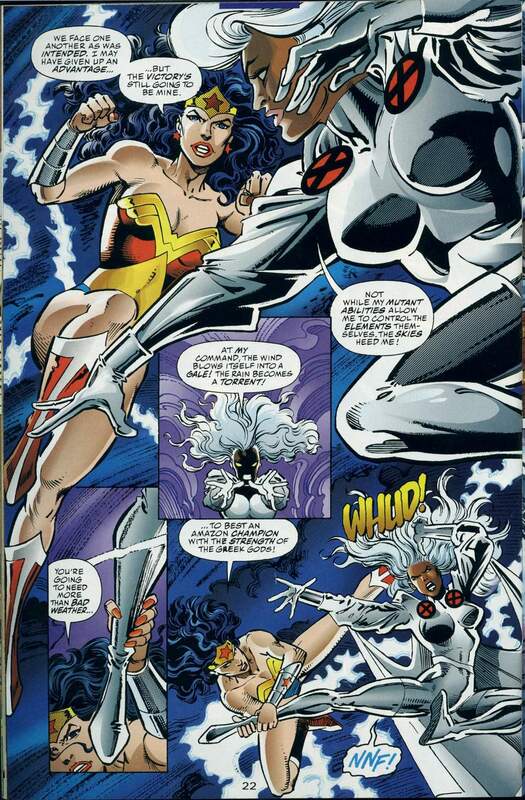 Wonder Woman (DC) vs. Storm (Marvel Comics) (Marvel). 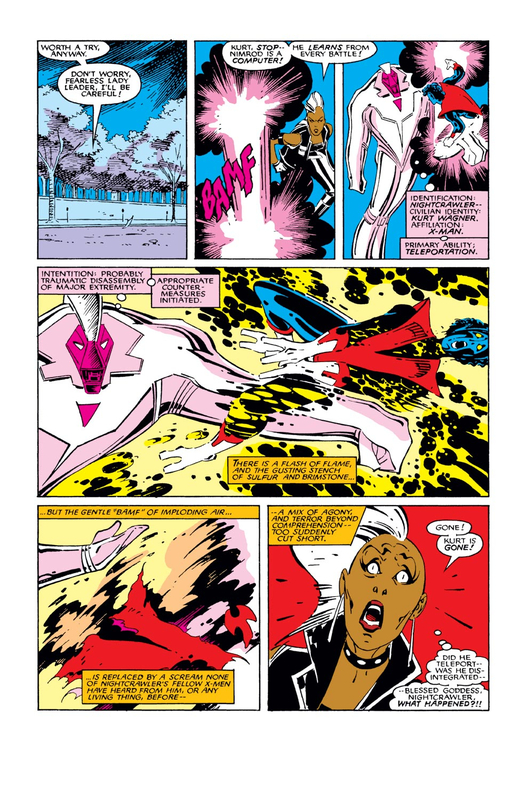 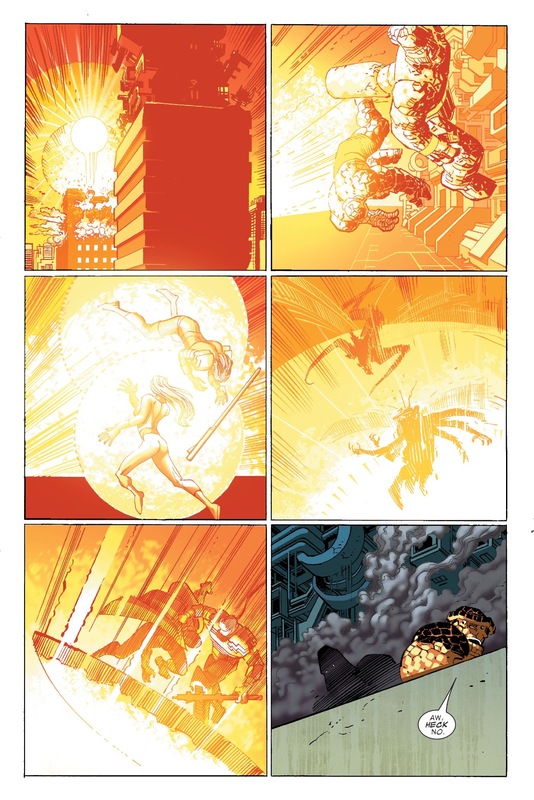 This entry was posted in DC Comics, DC vs. Marvel, Marvel Comics, storm, Versus, Wonder Woman and tagged astonishing x-men, Marvel vs. DC, mjolnir, storm, uncanny x-men, wonder woman, x-men on December 16, 2015 by lowbrowcomics.